COCHE A ESCALA 1/43, DE LA COLECCION DE RALLY ITALIANA, DE EAGLE MOSS ALTAYA, MODELO MITSUBISHI LANCER RS EVO DEL RALLY DE ARGENTINA DE 1997 DEL PILOTO MAKINEN. 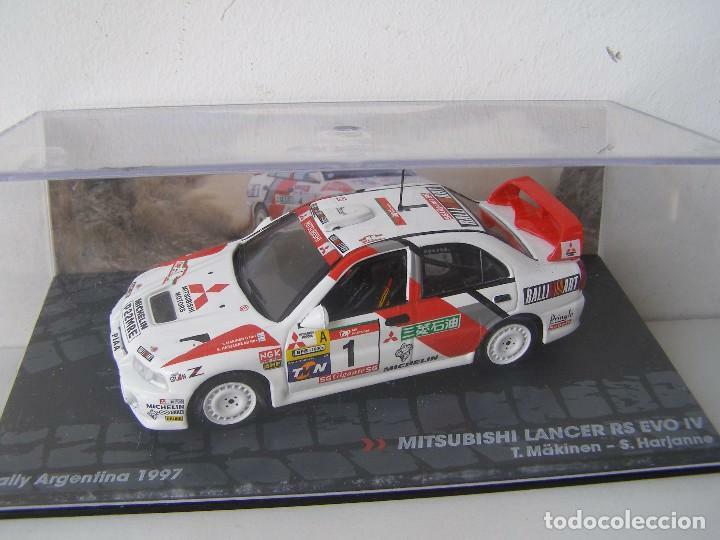 MITSUBISHI LANCER EVO VI 1999 DE MAKINEN, COLECCION CHAMPION RALLY CARS , EAGLE MOSS ALTAYA 1/43. Hora oficial TC: 20:07:34 TR: 163 ms.